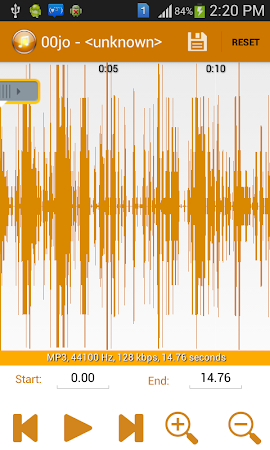 Mp3 cutter Ringtone Maker is used to create ringtones, alarms, notification mp3, WAV, AAC/MP4, 3GPP/AMR files you load onto your phone through the SD card. 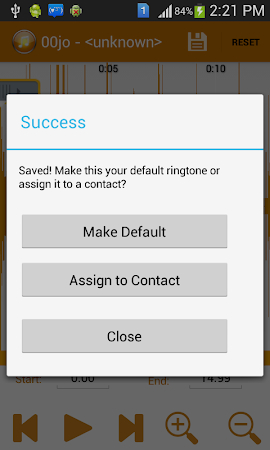 Easy search and select songs you can trim cut a make as default ringtone. Features: Copy, cut and paste. Fade in/out for mp3. Adjust volume for mp3. 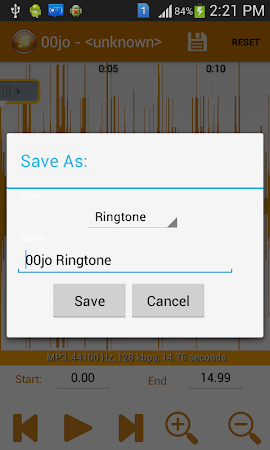 Preview the Ringtone files and assign to contact. Mostappz.com has designed this application that lies within the Entertainment category. The most recent update of Mp3 cutter Ringtone Maker was launched on Oct 27, 2013 and the app has been set up by over 50K users. This application has the overall rating 3.8 on Google Play. The app shows ads. 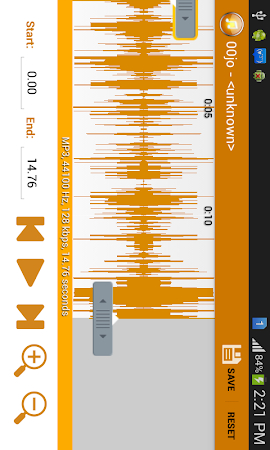 Get the .apk installer of Mp3 cutter Ringtone Maker 1.1.3 for free and check out users' reviews on Droid Informer. The setup package requires 1015 KB of disk space and it works flawlessly on Android 3.0 and higher. According to the antivirus report, the app doesn't contain viruses or any kind of malware. That's the sound of the police! Air Horn MAX! Play sports, train, truck. Feeling romantic or left heartbroken? Top App manager for android with some more amazing features. It is a set of top android Smart tools collection for Engineers. App contains lot of Emoticons, Symbols, Emoji. It is the popular "Emoticons" & symbols app.